Enjoy the legendary flavors of classic American dining in an energetic, modern setting at Hard Rock Cafe Munich. Established in 2002, as the second Hard Rock Cafe in Germany, our 3.000 square foot restaurant marries the Bavarian charm and local beer with great food, delicious cocktails and even better entertainment. Fuel up with the down-home goodness of classic cuisine when you dine at the Hard Rock Cafe Munich. Whether you preview our flavorful menu with a signature starter or jump right to the main affair with our Legendary® Burger, dining with us is a must do experience. Book your table now! You’re planning a little bigger? Hard Rock Cafe Munich is the perfect location for your next private event or company party! Whether you want to keep it small and celebrate with up to 30 people in our Chapel or rent the whole cafe with up to 450 guests, we create authentic experiences that rock for you! For further information as well as regular reservations over 8 persons give us a call at +49 89 242 949 20 or contact us via munich.events@hardrock.com. Just like the city that surrounds us, Hard Rock Cafe Munich is packed to the brim with vibrant culture but with a rock and roll twist. You’ll be surrounded by music history no matter where you are in our cafe. Take a piece home with you and remember your time spent with us by visiting the Rock Shop®. Olympiastadion, Olympiahalle, Zenith, Tonhalle or Muffathalle... Munich rocks and so do we. You have tickets to a concert at one of these venues? Come by on the day of the concert and show us your ticket and you'll receive a free 0.5l Draft Beer or Soft Drink with every purchased main course! We like your furry friends just like you do, but for hygienic reasons, dogs & other furry animals except for guide dogs are not allowed in our restaurant and bar area. Thank you very much for your understanding. 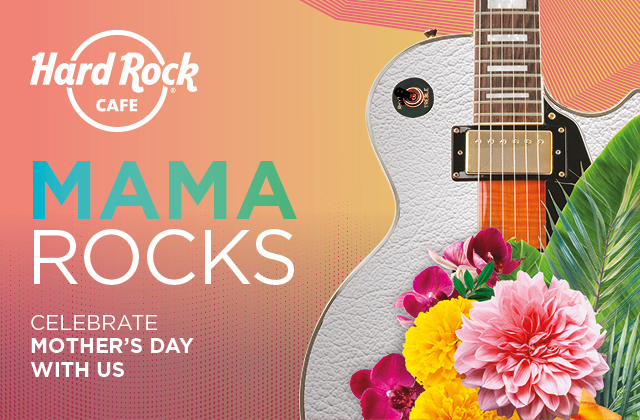 Moms rock - celebrate Mother's Day at Hard Rock Cafe Munich! Show your moms how awesome they are and say thank you with our special Mother's Day menu including our delicious Blackberry Sparkling Sangria, a main course of choice and the limited Strawberry Shortcake Sundae. Selected games of Bundesliga, DFB Pokal and Champions League, at our Bar area! Watch your favorite teams play in the most rockin` atmosphere in town! 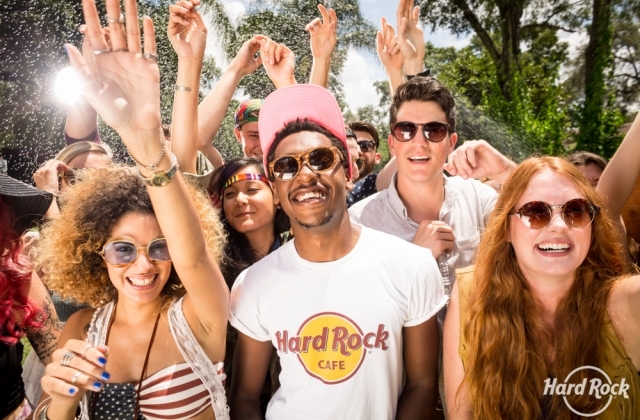 Why search for any other place, if you can be at the Hard Rock Cafe? Want to learn more about the history of Rock Music? Book the rockin`presentation on top of your lunch or dinner experience! Learn awesome facts in this fun and interactive tour through the evolution of the world of Rock! Email us at munich.events@hardrock.com for more information and booking. from Airport: S1 or S8 to "Marienplatz"
from Main Train Station: all S-Bahn to "Marienplatz"
Take the "Viktualienmarkt" Exit at "Marienplatz", head toward the Spielzeugmuseum (Toy Museum). Walk underneath the arches of the museum and then turn left into the Sparkassenstrasse till you reach the Münzstrasse (on the corner there is a shop that sells traditional Bavarian clothes named "Dirndl Eck"). Turn right and you will see the Hard Rock Cafe at the next crossing on your left (lookout for the sign). Parking Garage "Hofbräuhaus" on Neuturmstraße/Hochbrückenstraße which is a two minute walk from the Hard Rock Cafe.